Express Yourself: Modern Trends In Auto Painting - Call Breezy Point! In a 1909 meeting, Henry Ford said, “Any customer can have a car painted any color that he wants so long as it is black.” In the century-plus since he said that, manufacturers—including Ford—have relaxed that requirement somewhat, offering vehicles painted in a rainbow of colors, up to and including actual rainbows. When you look around while driving, though, it seems like only a few colors can actually be found on the road. That begs the question: “just what are the most popular colors for cars these days?” To get the answer we turn to the experts, in this case, Pittsburgh Plate Glass, better known as PPG. Although, as its name implies, PPG was first an auto glass company, it now is among the top producers of automotive paints. Surprisingly, with all the choices available (PPG introduced 64 new shades to the industry for the 2018-19 model years), people still prefer tried-and-true, classic monochrome colors. According to the PPG website, the most popular color for automobiles across the planet in 2015 was (drum roll, please) …white, at 35 percent. Black came in a distant second (sorry Henry), with 17 percent, followed by silver, grey, natural, red, blue, green and “other.” Looking solely at North America, the order wasn’t much different, with white at 23 percent and black at 19 percent followed by grey, silver, red and blue. For those with more adventurous tastes, new color options allow you to transform your car into a work of art. These new colors come with some interesting names, by the way, including “Hyper HD,” “IM Perfect,” “Knight’s Watch” and “Lucid Dreams.” These unique color options allow you to show off your personality-and your car’s. 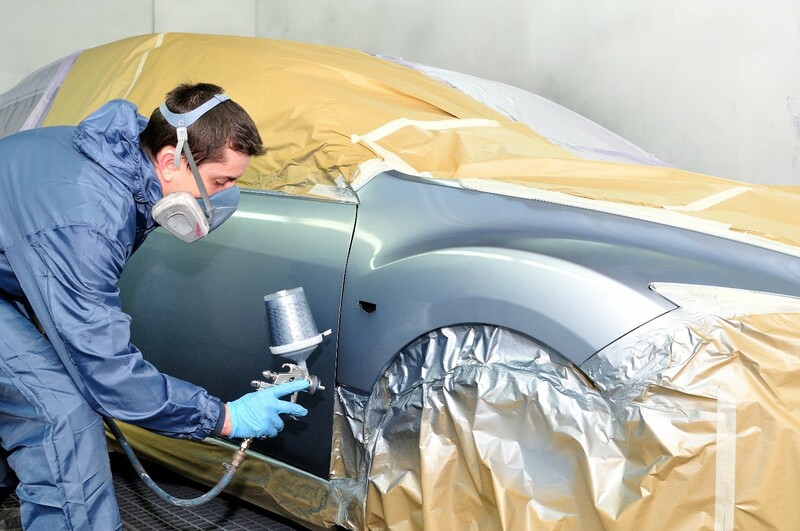 If your vehicle needs a paint touch up or a complete paint job, contact our auto body shop in Stratford, CT. Breezy Point Auto Body uses environmentally-friendly waterborne paint and an infrared paint-drying process that allows us to return your vehicle more quickly than traditional auto paint techniques. Our skilled technicians can help you find the perfect color for your vehicle. Call us at (203) 378 4909 or use our convenient Contact Form to schedule your appointment for auto body repair, auto detailing, new tires, and more.